Purchasing products through catalogues has many benefits over traditional shopping. You don’t have to waste your time going to shopping centres, there is no need to refuel your car or visit many places until you find what you are looking for. Also, you don’t have to worry about how to deliver bulky goods – a catalogue will take care of it. And one more advantage of buying with a catalogue is that you can use a buy now pay later option. So, let’s figure out what catalogue credit is and what benefits it provides. Catalogue credit is a way to purchase goods from an online merchant. Payment for those is made in installments over a certain time period, normally 12-24 months. Catalogue credit is often can be called a shopping account or a mail order account. You should know that catalogue credit is similar to a bank loan, therefore, you should treat repayments in a responsible manner. Late payments or missed payments can hurt your credit rating. In addition, if you stop repaying, catalogue retailers can sell your debt to a collection agency or even sue you. You can get credit in a fast and convenient way by applying online with a minimum of required papers. It usually takes from a few minutes to a couple of days for approval. You can manage repayments through your personal account. If you are disciplined and you pay on time, it can positively affect your credit history. Many buy now pay later catalogues provide credits on favorable terms. For example, a zero interest rate, deferred payment or the possibility of early repayment without additional interests. First of all, you need to find a catalogue with credit. This should not be a problem since many large online retailers offer this service (Littlewoods, Next, Freemans, etc.). Next, you need to create a personal account through which you will manage your purchases and payments. A personal account cannot be transferred to family members or friends since all financial obligations are vested in a person who registered the account originally. Catalogues allow one account per person, however, some of them have affiliates and from one account you can make purchases through all of their connected sister companies. Many catalogues offer instant catalogue credit. To receive it, you need to submit an application that will be considered within a certain period of time. 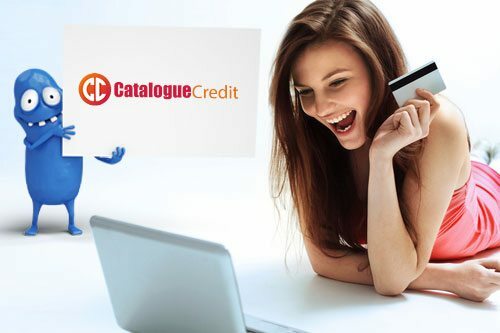 Catalogues or sites offering catalogue credit will check your credit history. If credit is approved, you are granted a limit on the purchase of goods in a specific catalogue. The sum of a limit depends on your credit rating and can vary from one merchant to another. Usually, a limit does not exceed £500 pounds but it can be increased up to £2500 if you pay on time every month. You can make monthly payments directly via your account using online payment systems, or a catalogue can sent statements to be paid through your bank, Post office, Pay Pal or other agreed upon methods. Many catalogues offer interest free credit. This implies that for a certain period of time (usually, from 6 to 12 months) the amount of the monthly payment will not include the interest rate. If during this time you pay the balance off the cost of the goods will be the same as when you buy in a regular way (without credit). However, if during the grace period you failed to make payments on time then the interest will be added to your repayment scheme. The interest rates vary from a catalogue to catalogue. One of the lowest rates that can be found on the market is 18%, which is roughly equal to APR on a credit card. The heftiest rates may exceed 60% per annum, but usually they apply to long-term repayments or bad credit catalogues. In general, the average rate for catalogue credit is about 40%. But once again, you can always avoid interests if your goods are paid off during the interest free period. Even if your credit history leaves much to be desired, you can still hope for a buy now pay later option. There are so-called bad credit catalogues created specifically for people with a far from perfect credit rating. However, you should be aware that normally such catalogues offer shopping accounts with more stringent conditions. For example, it can be higher interest rates, a monthly insurance for the outstanding balance or lower credit limits. However, if you repay on time it can help improve your credit rating and a catalogue can reconsider the terms of payment installment. If you have never used bank loans before and you do not have a credit history a catalogue with credit this is a great opportunity to gain some credit points. It is not beneficial to sign up for credit with a repayment period longer than two years (long-term credits have an increased interest rate). Your monthly payments should not be more than 10% of your income. In this way, repayment won’t be a heavy burden and you will be able to repay credit without problems. Before signing up for buy now pay later you should carefully read the terms and conditions. It is even better if you compare the offers of several similar catalogues. Perhaps, you will be able to find options with a lower interest rate and a small insurance. As you can see, buy now pay later through a catalogue is a convenient way to purchase goods, especially if you are short of money. You should always be responsible when purchasing on account but if you are disciplined enough to be consistent with the payments, catalogue credit will be pretty cheap and it can actually help improve your credit rating.